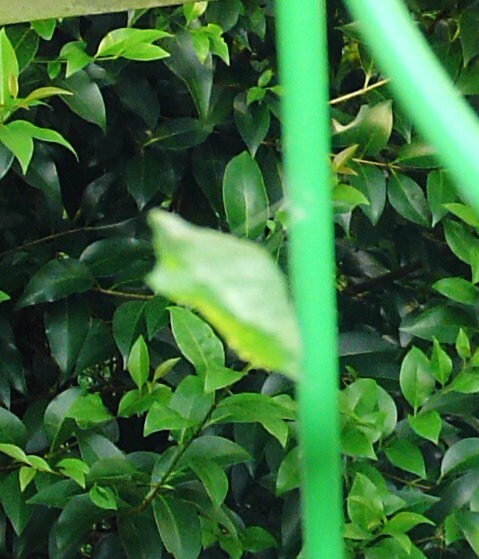 The first chrysalis turned up a few days ago. Perhaps you saw my post on the caterpillars? 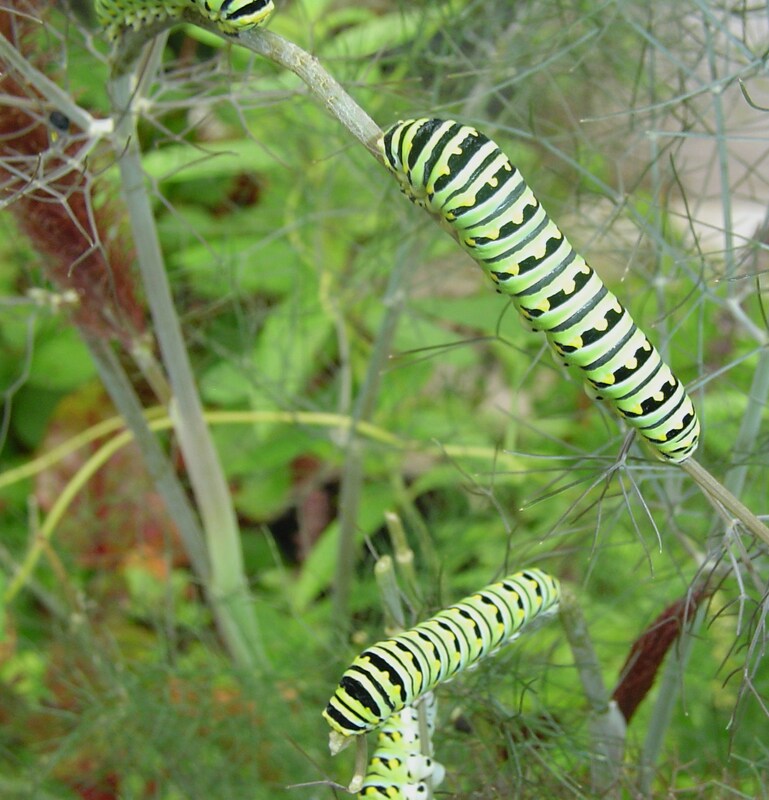 Eastern Black Swallowtail caterpillars on bronze fennel. 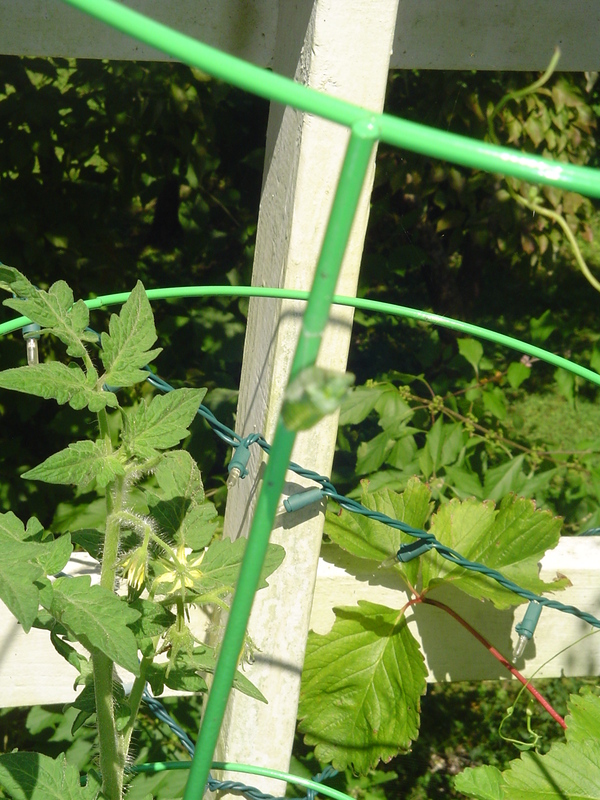 and another on a nearby tomato cage. The others must be close, but I haven’t found them yet. 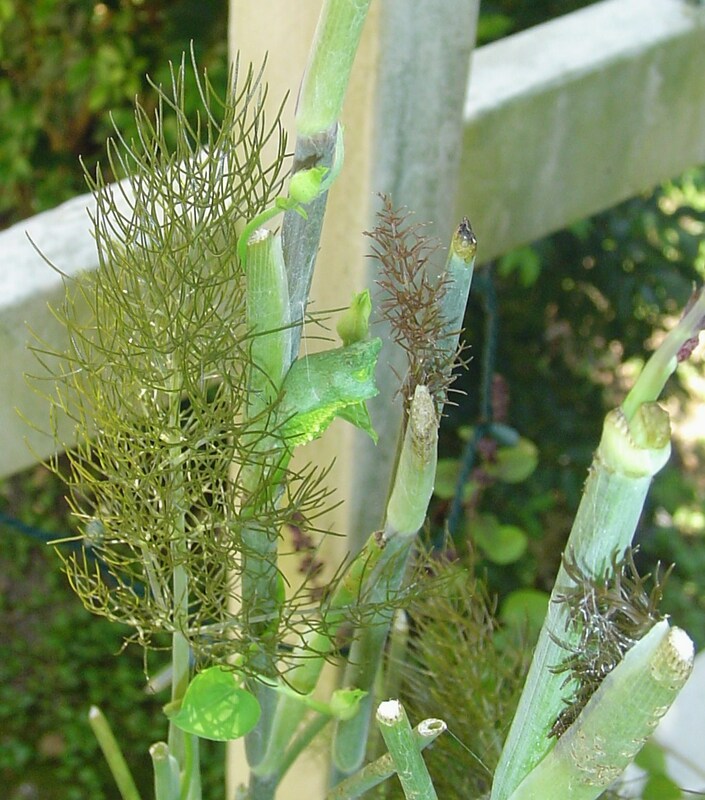 Originally there were nine caterpillars on the fennel happily eating away. 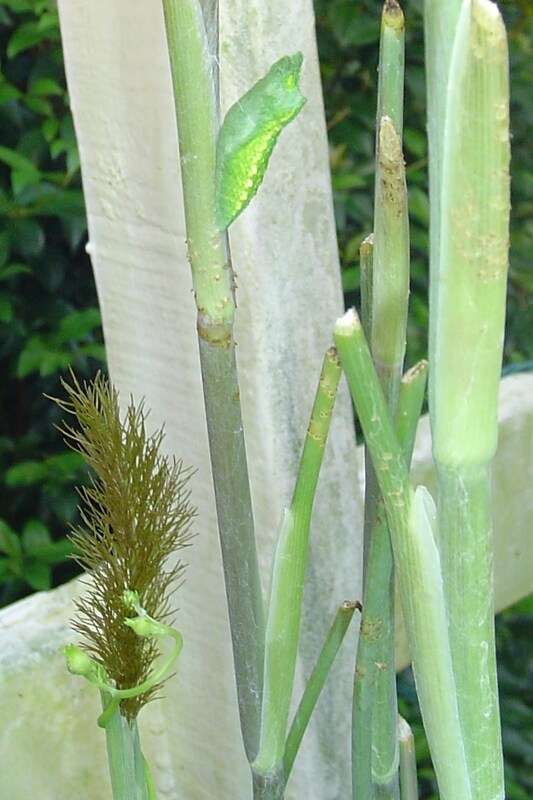 I’m still searching for the chrysalis of the tobacco hornworm caterpillar. It ate all the leaves off of a bell pepper plant, then disappeared. 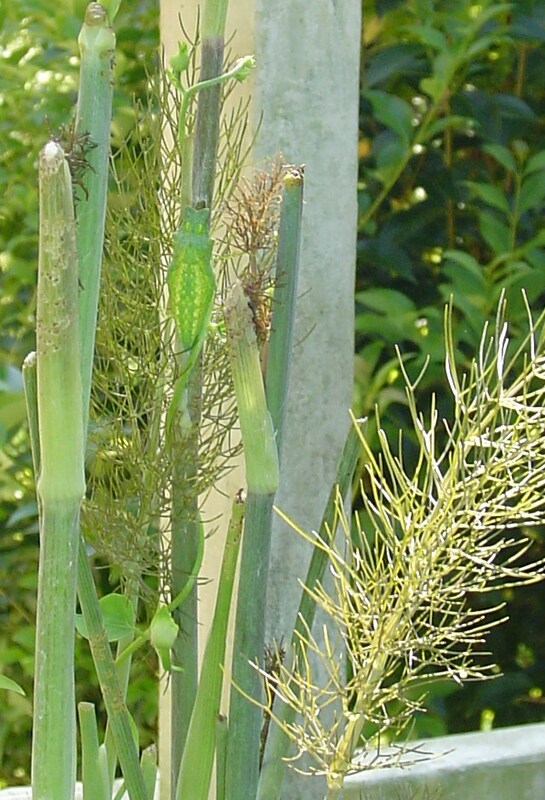 The bronze fennel is growing back out, as I expected. Now we’re just watching for the butterflies to emerge to join the rest of the herd.